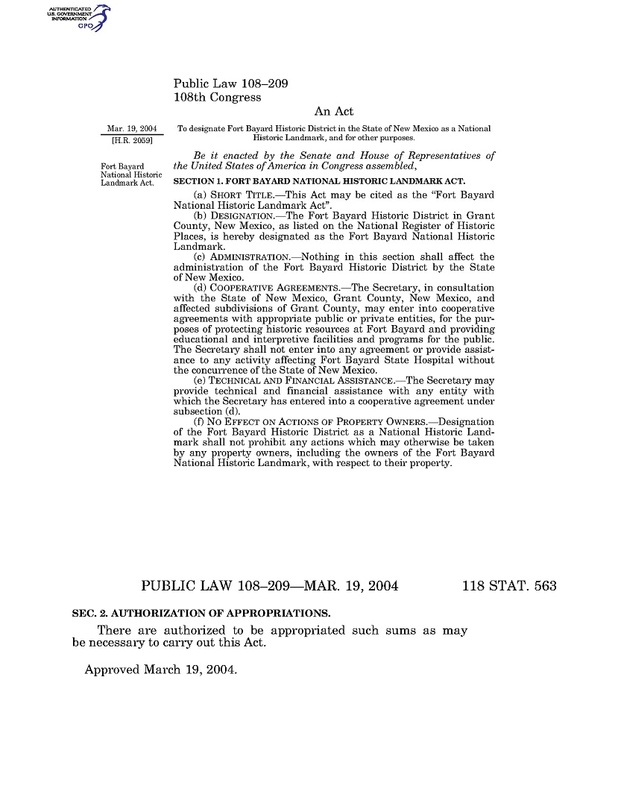 This document HR 2059 gives National Historic Landmark Status. It was passed March 19, 2004. SECTION 1. FORT BAYARD NATIONAL HISTORIC LANDMARK ACT. hereby designated as the Fort Bayard National Historic Landmark. Secretary has entered into a cooperative agreement under subsection (d). Landmark, with respect to their property.